An imperial elephant stands tethered in open country, while his mahout or keeper prepares food for him. Groups of soldiers, cavalry and animals are exercising in the distance. The atmospheric treatment of this camp scene suggests the artist was influenced by the master Govardhan. 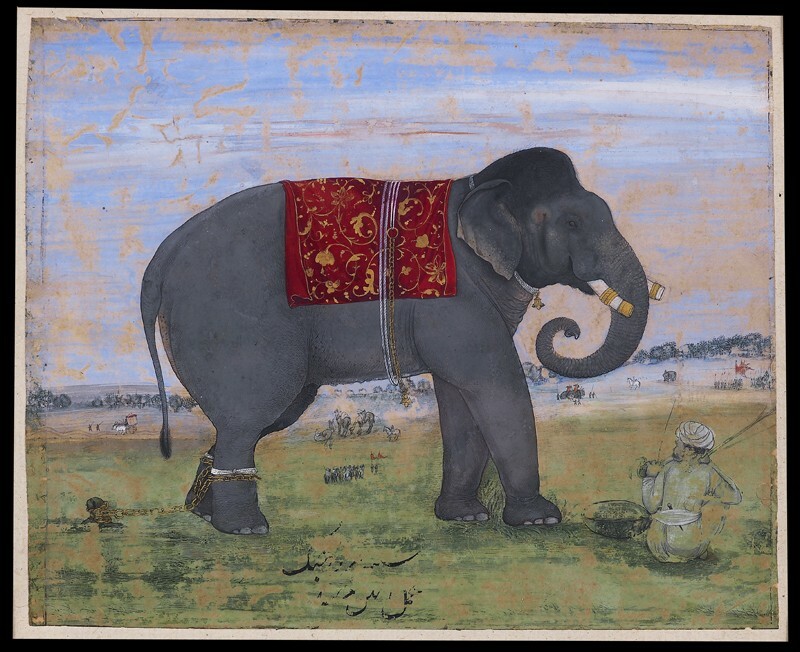 The name of the elephant and artist appear in an inscription below which is no longer clearly readable.